Discover local auto service you can trust! Stop by Elite Auto Repair,8139 S. Priest Drive, Ste 108, Tempe, AZ, reach us by phone, (480) 787-0559, or book an appointment online. Nearly 200,000 call Tempe, Arizona “home,” just a few minutes from Phoenix, Scottsdale, Mesa, and Chandler. Several Fortune 500 companies and an ever-changing campus of Arizona State University students make a multi-billion-dollar impact on the world economy. Family-owned Elite Auto Repair has been a good Tempe neighbor since 1997, even winning a Tempe City Council Beautification Award. Our strong track record of high-quality auto repair and personalized attention keeps our clients coming back, year after year. Elite Auto Repair is a full-service auto repair shop, offering everything from basic car maintenance to full auto diagnostics and car repair services. We employ ASE-Certified Mechanics, who use modern equipment and quality parts to keep your car running great. 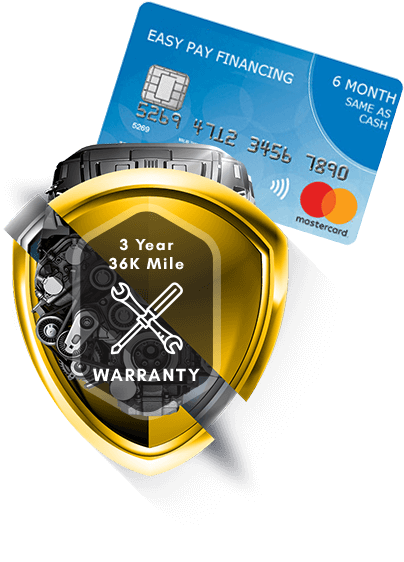 All repairs are covered by a Nationwide 36-month 36,000-mile warranty, and we even offer financing to help you manage major auto repair expenses. Elite Auto Repair offers top-notch auto service for every vehicle on the road. We offer regular car maintenance, such as engine oil change, brake replacement, and tire services, and more. Where other shops fail, such as check engine light diagnosis, hybrid vehicle repairs, or emissions repair, Elite Auto Repair says, “We can fix that.” Do you need any other reason to book an appointment for your auto service needs? Because even medium and light duty vehicles need maintenance too, we’ve been providing specialized services for these vehicles for over 15 years. Our mechanics are not only equipped to deal with the unique challenges larger vehicles present, but we also have the proper equipment to do so. Our team of highly qualified mechanics understands and applies the principles of body control, braking and drive train systems when it comes to diagnosing and repairing your medium or light duty vehicle. Having the right diagnostic tools can either make or break a mechanic shop. Here at Elite Auto Repair, we only utilize the best so you receive the best. Some things in life are unforeseen, and auto repair and maintenance is no exception. Your vehicle may not understand you can’t take the day off to ensure it’s in peak operating condition, but we do. Regular routine maintenance can make the difference between an affordable repair bill and a bill that leaves you gasping for air. At Elite Auto Repair, we take the “prevention is best” stance and believe many expensive repair bills can be avoided if the owner’s take the time to schedule and pay attention to regular maintenance needs for their vehicles. If you need suggestions on proper lubricants, filters, and repair parts, don’t hesitate to ask our qualified staff for their opinions. Our staff is happy to apply their years of expertise to help you get the most from your vehicle. Hybrid vehicles offer all the benefits of a more economical and affordable transportation option, but their specialty care can be off-putting to some. If you thought trying to find an affordable and trustworthy shop was difficult already, try finding a repair shop that specializes in hybrid vehicles. Fortunately, not only are our mechanics ASE certified, but they know how to repair and keep your hybrid on the road. Occasionally your fleet vehicles attempt to communicate to us through the use of error codes. Any new or seasoned driver will have experienced the anxiety and frustration that occurs when driving along and suddenly a “check engine” light comes on. Because our vehicles are so complex, any one of these error codes could mean several different things. Unless you have a diagnostics tool at your disposal or you can speak “automobile”, chances are you won’t have a clue of what your vehicle is trying to communicate to you. We have the latest OEM diagnostic equipment to decipher the issue and get it fixed fast. At Elite Auto Repair, we pride ourselves in being a family-owned and operated business. This means we remove the middle man from the whole auto repair process that most car repair franchises are required to negotiate with. You can rest assured our decisions are our own and have our customer’s best interests in mind. Our clean and comfortable customer lounge features a flat screen TV and warm/cold beverages (depending on the weather) to help pass the time while your vehicle is undergoing repair work. Of course you’re free to bring your tablet or laptop too as we have free WiFi! Finding an auto mechanic can be stressful and challenging. We’ve eliminated some of the hassle by ensuring all of our staff who will be working with your investment (your vehicle) are knowledgeable and truly know what they’re doing. Each of our mechanics specialize in a particular area of auto repair so you can get the help you need, whether it be for a foreign vehicle or a domestic make, our mechanics are experts up to the task. As a Auto Care Center, Elite Auto Repair - Tempe offers all customers the AutoCare Peace of Mind Nationwide Warranty. The 36 month/36,000 mile warranty is honored at over 14,000 Napa AutoCare Centers across the country. Our 36,000 mile warranty is the best in the business!